May 16, 2010 – Purdue University’s College of Technology will offer an online master’s degree with an aviation concentration beginning this fall. The degree program is designed for aviation professionals who are looking to move into a leadership position. “The College of Technology recognizes the need to make graduate education available to individuals working full-time in business and industry,” said Dr. Mitchell Springer, who administers the program through the College of Technology’s Center for Professional Studies in Technology and Applied Research (ProSTAR). Courses are taught through a convenient distance-learning format that is proven to provide flexibility for learning and allows the professional to maintain obligations to career and family. The program can be completed in as little as 22 months (five semesters, including summer), but the online format will allow the student to pace the completion of the requirements. 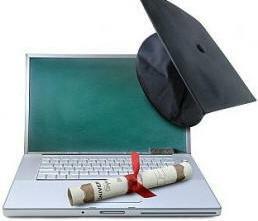 Enhancing the online experience are professors who are readily able to assist the students as needed during the program. The program is designed to build leadership skills within the aviation environment, providing the technical statistical tools for decision making in today’s world and focusing on developing analytic and problem-solving skills. Many of the courses focus on safety and understanding and eliminating human error in decision and process chains. “The program is ideal for the person currently in a technical position in an aviation-related industry who would like to enhance their innovation and technology leadership skills,” Springer said. In addition, courses in leading in a team environment, change management, international organizational culture and training models provide a base for handling leadership positions. During the program a Capstone project, specific to the student’s interest and career, is selected and completed providing the student the chance to apply the program tools in a real-life situation. Classes are taught by Purdue College of Technology faculty and administered by (ProSTAR). For students who may not be inclined to pursue a master’s degree, a certificate in Aviation Leadership is also available. The certificate program consists of the first four courses of the master’s degree program, allowing the student to apply the certificate courses towards the master’s degree at a future date.